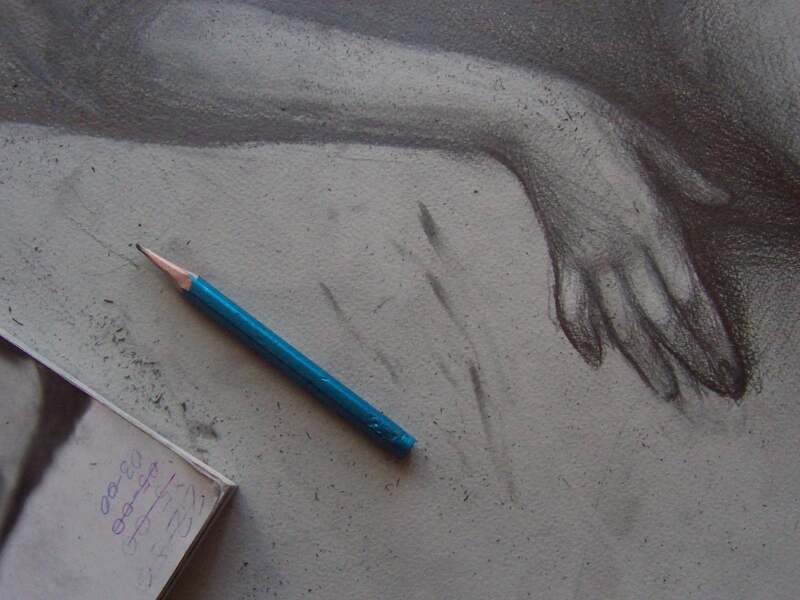 All drawing is about technique and skill — at least until you add artistic inspiration to the equation. And technique and skill are really just tricks, when you think about it. 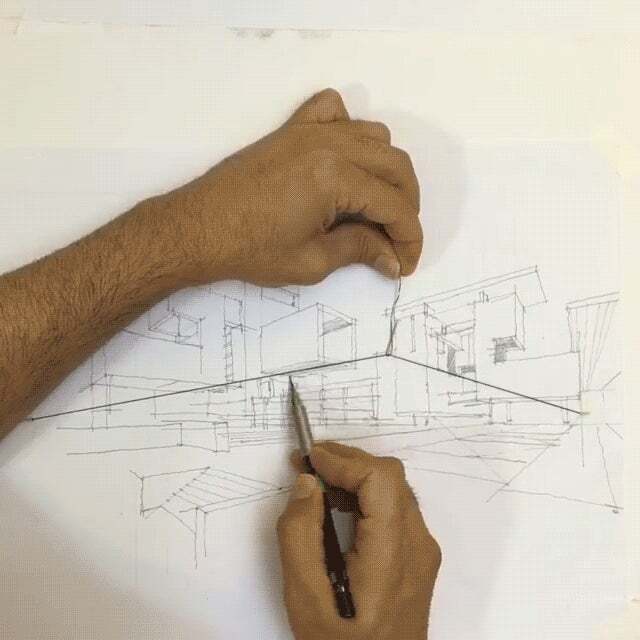 In the animation, architect Reza Asgaripour has a string pinned to the vanishing points, hooked by a paper clip. Asgaripour pulls the paper clip to the point he wants to draw from, and the string runs straight lines to the vanishing points. The paper clip can slide along the length of the string, moving to wherever Asgaripour wants to draw from. awawawoooooo says of Asgaripour's Instagram, "I'd advise you not to go there. I'm crushed by how good he is." But don't be intimidated by Asgaripour's work — be inspired. Tricks and shortcuts will never make you an artist, but they can help you hurry down that path.